Just under a year ago I wrote about a new project we’re involved with, namely IWUN: Improving Wellbeing through Urban Nature. Funded by a £1.3 million from the Natural Environment Research Council – part of the human health and wellbeing goal of the Valuing Nature programme. Although we know that spending time with nature is good for people, the project broadly investigates the ‘dose’ and which particular qualities and features of green space boost people’s health and personal enjoyment. Our team, based at the University of Derby, is leading one of the 4 work packages needed to investigate these issues. Our study uses a smartphone app to understand how green and built spaces affect our wellbeing. The idea is that the app will record how people interact with their local green and built spaces and prompt them to map and notice the good things they see – noticing the good things in nature helps people get connected with nature. It’s been a rapid development process in order to arrive at a time when people are out and about! But the app, Shmapped, is in app stores now! 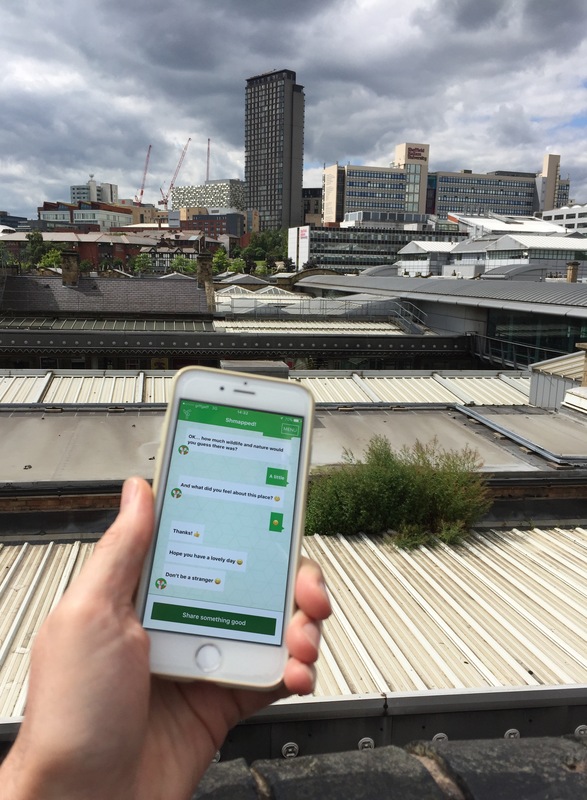 Primarily aimed at people who live in Sheffield (hence the ‘Sh’), the app also works elsewhere, reminding users daily for 30 days to notice and map the good things, letting people record, photograph and rate each one. This is done through a ‘conversation’ with the ‘chatbot’ called ‘Shmapbot’, your companion for the month. The smartphone is also used to track activity, allowing us to get some really rich and useful data. There’s been many challenges. From sharing our idea and the constraints of a research study to the necessary privacy and security considerations. To bringing a research study to life and as engaging as possible for the user with the conversational interface. For those people in Sheffield the app tracks the user’s time and use of green spaces using ‘geofences’, reminding them to notice the good things in nature when they’re nearby. Being a research study, some users of the app will be prompted to notice good things in the built environment. The first 1000 Sheffield based users who complete the 30 day study will be eligible for entry into the prize draw with vouchers ranging from £50 to a top prize of £500, that’s around a 1 in 10 in chance of winning! 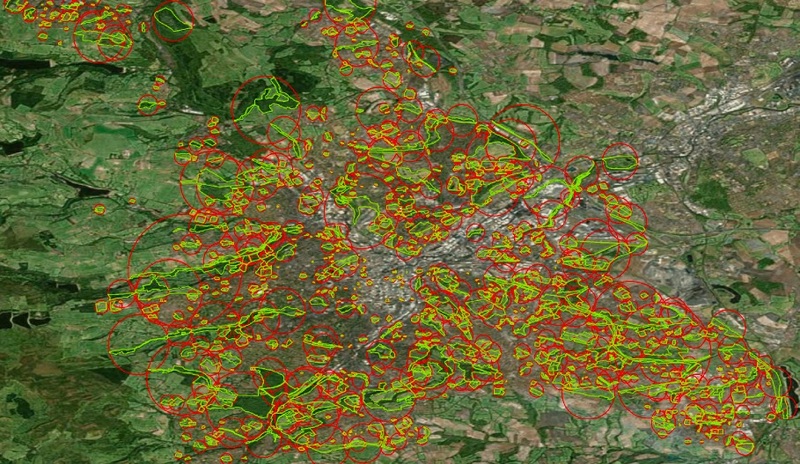 There’s also the potential in the future to update the apps database to include maps of other areas – allowing research into understanding how green spaces are used elsewhere. So, if you know people in Sheffield please direct them to the app for Android and Apple iOS. Anyone who is over 18 years old can take part. If you’re outside Sheffield, give it a go! And if you’d like to use it more formally as part of work you’re doing, get in touch, we might be able to arrange access to the data. Meanwhile, get Shmapping!